Update on “Mantis”: after being brought to GWMI on August 6th, Mantis has continued a steady improvement. Mantis has been successfully transferred to a deep water habitat, and is getting a regularly increasing diet of restaurant quality seafood. While still undergoing medical treatment, Mantis remains alert and active. 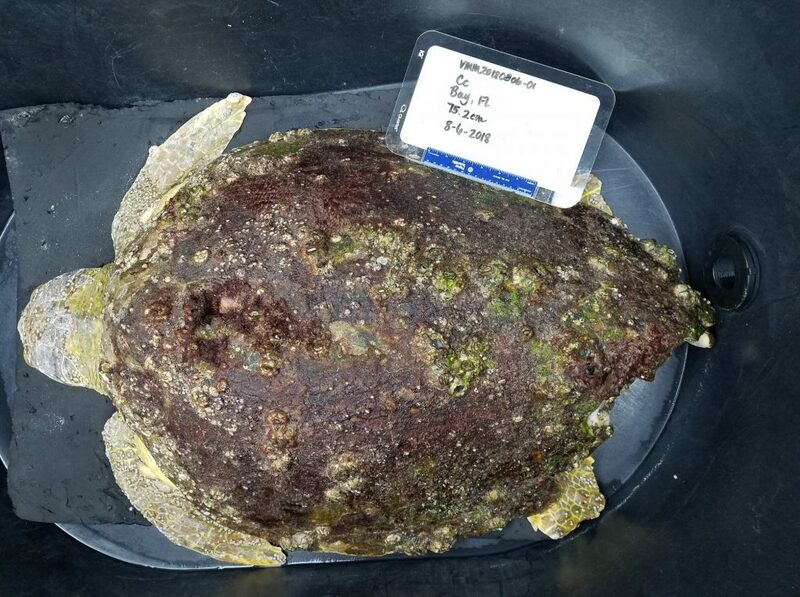 Original Story “Mantis”, Gulf World Marine Institute’s newest patient, arrived on August 6th after being found listing just offshore of Sharky’s Restaurant in Panama City Beach. 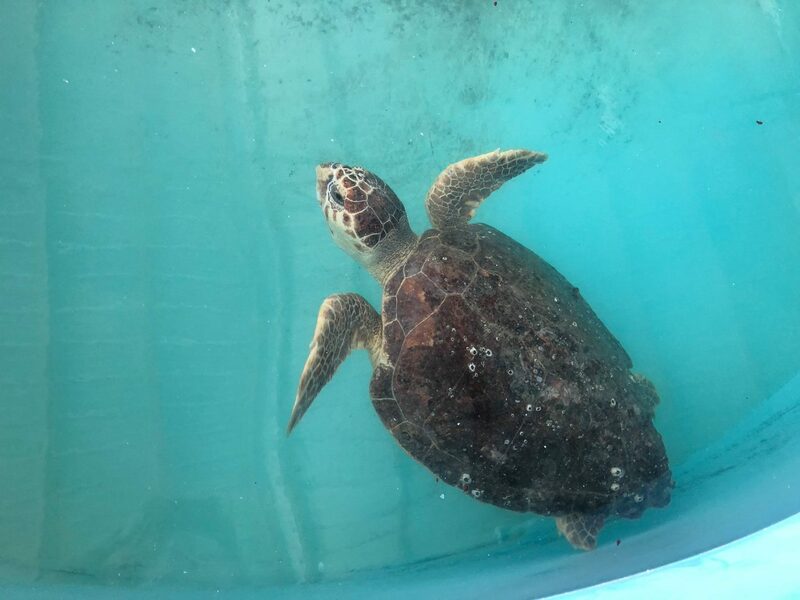 Local jet ski vendors and Panama City Beach and Surf responders worked together to bring the turtle to our facility. “Mantis” is a subadult loggerhead that, despite being lethargic upon arrival, does continue to demonstrate an alertness to his/her surroundings. The animal is being closely monitored and will continue his/her rehabilitation journey with us at GWMI.